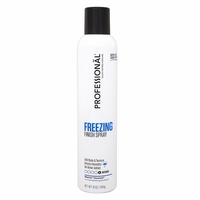 Professionäl Freezing Finishing Spray 10oz. 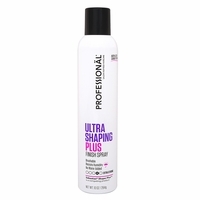 Professionäl Ultra Shaping Plus Finishing Spray 10oz. 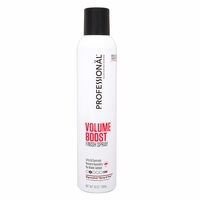 Professional Volume Boost Finishing Spray 10 oz. Argan & Macadamia Frizz Taming Treatment Oil 3.4 oz. 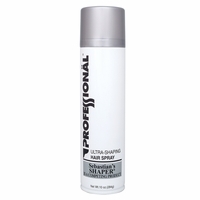 Professionäl Keratin & Brazil Nut Radiant Finishing Spray 10oz. NOW BACK IN STOCK Gefden Nucleic Acid Texturizing Mousse, 8 oz. Gefden Natural Shine Gel Mousse 8 oz. 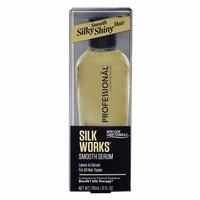 Professional Miracle Mend Split End Mender - 2 oz. Professional Heat Shield Thermal Spray 6 oz. DeMert Brands All Set Hair Spray 12 oz. Hi Pro Pac Extremely Damaged Hair Intense Protein Treatment 1.75 oz. Hi Pro Pac Extremely Damaged Hair Intense Protein Treatment 8 oz. Salon Exotics Moroccan Argan Oil Deep Repair Masque 1.75 oz. Hi Pro Pac Moroccan Mend Argan Oil Deep Repair Masque 8 oz. Hi Pro Pac Color Treated & Highlighted Intense Protein Treatment 1.75 oz. Hi Pro Pac Color Treated & Highlighted Intense Protein Treatment 8oz. Hi Pro Pac Coconut Oil & Lime Peel Frizz Taming Masque 8oz. Hi Pro Pac Henna, Placenta & Vitamin E Intense Protein Treatment 1.75 oz. Keratin Maintenance Replenish Masque 1.75 oz. Hi Pro Pac Keratin Maintenance Replenish Masque 8 oz. Dryfast Original Concentrated Setting Lotion 8oz. DeMert Brands Avec Extra Firm Hold Mousse 8.0 oz.